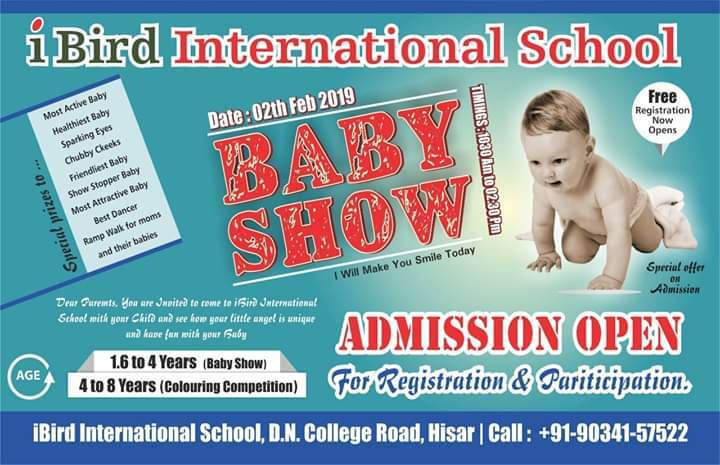 City’s most awaited and fabulous Baby Show is going to organize on February 2, 2019 by iBird International School. It is a stage for children to showcase their endearing qualities through mischievous acts and innocent smile. For 1.6 to 4 years children, baby show will held and special prizes will be given to most active baby, healthiest baby, sparkling eyes, show stopper, best dancer and many more. Coloring competition will held for children of age group 4 to 8 years. Register your child for baby show and competition to cherish the naughty expressions of your little ones.